“I can do it with my eyes closed now. I can tell you what medicine is placed where, which doctor comes in when, and where my patients are at all times,” Leelamma says with a smile. Leelamma, the nurse staff-in charge at the St. John’s Medical College and Hospital in the Bengaluru hails from Kottayam. She has spent 22 years of her career here after stints in Assam and Saudi Arabia. Her faded, yet neatly pressed, white gown speaks of her longevity in service. This time around, she has a new challenge: handling panic. “Everyone with a fever is suddenly scared that it could be Nipah,” she says. Her colleagues are especially wary after the disease recently claimed the life of a Kozhikode nurse, Lini. As she speaks, she walks to the rows of cupboards labelled alphabetically and, almost, without looking hands out two strips of pills to another nurse. “Panic is the most difficult thing to control during epidemics,” says Leelamma, who has served through outbreaks of swine flu, chikungunya and dengue throughout her career. For such high-risk epidemics, all nurses are given face masks and gloves. For those treating such a patient, added precautions must be taken. “The nurse has to ensure that she does not come in direct contact with the patient’s bodily fluids without taking precautions. She must also ensure that she washes her hands or at least uses sanitizers all the time,” says Leelamma. In cases like nurse Lini, the infection could have been contracted by her before she knew it was fatal. “We don’t know what the infection is, till it’s detected. With Nipah, its symptoms are similar to dengue and other such diseases, so the only solution is to be cautious,” she says. In the off-chance that a nurse contracts an infection, the hospital gives her free treatment for the same. “The hospital takes responsibility and gives her treatment and compensation. In the case of nurse Lini, the government promised a government job to her husband and Rs.10 lakhs each to her two children as compensation,” she says. Leelamma’s day starts at around 5 am. She wakes up to make breakfast and pack lunch for her two children, after which she has to get dressed and be at the hospital before 8 am. Now, her shifts are eight hours long, but as a junior nurse, the shifts would sometimes extend to 12 hours. “I am home by around 5 O’clock nowadays, and am able to spend the evening with the kids, help them with homework and make them dinner. Technology has changed the profession, believes Leelamma. “We were taught to do everything. But now, there are machines, even for something as simple as checking someone’s blood pressure,” she says. Leelamma was a “strong, independent woman” even before it became common parlance to call someone that. She moved to Tinsukia in Assam to study nursing all the way from Kerala in the 1970’s. “My parents believed they were doing a service through me and so, supported my choice,” she says. It was at a time when girls were not even allowed to go to school, let alone travel across the country to pursue a career in nursing. When it was just her and her husband, they lived in several rented houses in the area around the hospital. However, recognising her seniority, the hospital gave her a staff quarters nine years ago. “Now, I and my children live in there. The gated community is also safe for them to play around,” she says. How much are nurses paid? Pay patterns have changed drastically since she first became a nurse. “Junior nurses, whose age is my experience, come and demand a certain salary because they believe they deserve it. We didn’t have that kind of guts,” she says. 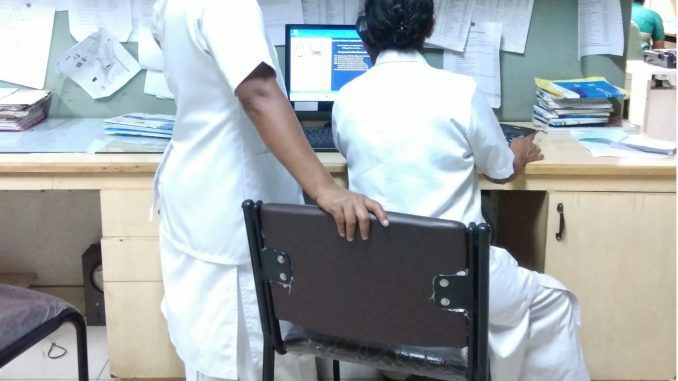 Net salary a junior level nurse receives is around Rs.25,000 in metro cities like Bengaluru, and less in other smaller cities. ESI-Provident Fund deductions are about Rs.3000 a month. The nurse and her family can also avail free basic medical treatment at the hospital. In hospitals like St Johns, an annual hike of at least 30 per cent is given, but not in all hospitals. 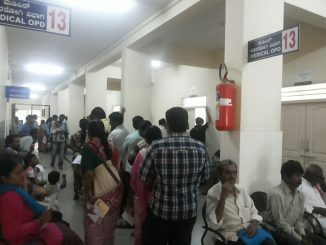 In government hospitals pay and hikes are lesser. Her job, however, doesn’t always allow for such moments. The nurses are taught in their basic protocol about how close they can get with a patient. “Only we know the difficulty of not being able to stop ourselves from getting attached. We are also humans,” she rues. From disruption of lake settlements which slumdwellers depend for livelihood to pollution and lack of sanitation, everything takes a toll on their health. Read more.